Recently, I worked on a change which looked simple: move the code to initialize the sys.stdout encoding before Py_Initialize(). While I was on it, I also decided to move the code which selects the Python "filesystem encoding". I didn't expect that I would spend 2 weeks on these issues... This article tells me about my recent journey in locales and encodings on AIX, HP-UX, Windows, Linux, macOS, Solaris and FreeBSD. Interesting, HP-UX uses "roman8" as its locale encoding. What is this "new" encoding? Wikipedia: HP Roman-8. Oh, that's even older than the common ISO 8859 encodings like Latin1! I showed up and proposed a fix for the unit test: PR 8967. The test was hardcoding the expected locale encoding. I modified the test to query the locale encoding at runtime instead. Hum, it looks like a bug in the C library of HP-UX. Well, it confirms what I expected: nl_langinfo(CODESET) announces "roman8", but mbstowcs() uses Latin1 encoding in practice. whereas mbstowcs() uses Latin1 encoding in practice. 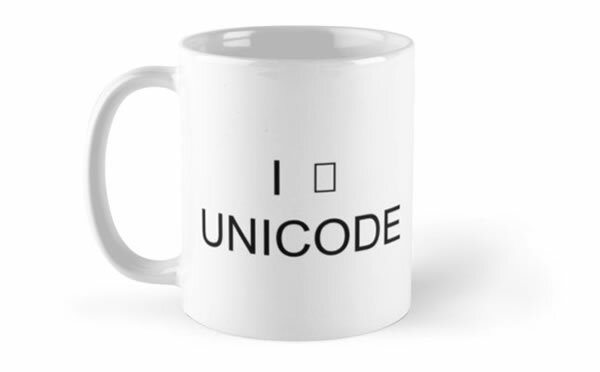 Python 3.8 will handle better Unicode support on HP-UX. The test_utf8_mode failure was just a hint for a real underlying bug! While reworking the Python initialization, I tried to move all configuration parameters to a new _PyCoreConfig structure. But I know that I missed at least the standard streams encoding (ex: sys.stdout.encoding). My first attempt failed to move the code, it broke many tests. I created bpo-34485: "_PyCoreConfig: add stdio_encoding and stdio_errors". While I was working on stdio encoding, I also recalled that the Python filesystem encoding is also initialized "late". I also created bpo-34523: "Choose the filesystem encoding before Python initialization (add _PyCoreConfig.filesystem_encoding)" to move this code as well. bpo-34485: For me, the "C" and "POSIX" locales were the same locale: C is an alias to POSIX, or the opposite, it didn't really matter for me. But Python handles them differently in some corner cases. For example, Nick Coghlan's PEP 538 (C locale coercion) is only enabled if the LC_CTYPE locale is equal to "C", not if it's equal to "POSIX". With LC_ALL=POSIX environment, setlocale(LC_CTYPE, "") returns "POSIX"
With LC_ALL=C environment, setlocale(LC_CTYPE, "") returns "C"
coerced and the UTF-8 Mode is disabled). Add tests on sys.stdout.errors with LC_ALL=POSIX. bpo-34527: Since I was testing various configurations, I also noticed that my UTF-8 Mode (PEP 540) had the same bug. Python 3.7 enables it if the LC_CTYPE locale is equal to "C", but not if it's equal to "POSIX". I also changed that (commit 5cb25895). surrogateescape error handler by default (ignore the locale). C:\> python3.6 -c "import locale; print(locale.setlocale(locale.LC_CTYPE, None))"
C:\> python3.8 -c "import locale; print(locale.setlocale(locale.LC_CTYPE, None))"
On Windows, Python 3.8 now starts with the LC_CTYPE locale set to my preference, as it was already previously done on UNIX. * Add stdio_encoding and stdio_errors fields to _PyCoreConfig. * Add unit tests on stdio_encoding and stdio_errors. chosen even before calling Py_Initialize(). Py_FileSystemDefaultEncoding, for the Python filesystem encoding. so interp->fscodec_initialized value remains 0.
handler in such case, whereas it's the default error handler on Windows. Windows if Py_LegacyWindowsFSEncodingFlag is zero. loop, but restore its value at exit. My intent was to be able to use the surrogatepass error handler. If Py_DecodeLocale() is hardcoded to use UTF-8 on Windows, we should get access to the surrogatepass error handler. Previously, mbstowcs() function was used and this function only support strict or surrogateescape error handlers. * _freeze_importlib doesn't need config.filesystem_errors="strict"
PyUnicode_DecodeFSDefault() and PyUnicode_EncodeFSDefault() functions use Py_DecodeLocale() and Py_EncodeLocale() before the Python codec of the filesystem encoding is loaded. With this big change, Py_DecodeLocale() and Py_EncodeLocale() now really behave as the Python codec. Previously, Python started with the surrogateescape error handler, and switched to the surrogatepass error handler once the Python codec was loaded. * Add an assertion to _PyCoreConfig_Read(). it's only used on Windows. initfsencoding() updates the encoding to the Python codec name. For example, "ANSI_X3.4-1968" is replaced with "ascii". encoding/errors to mbcs/replace at runtime. Sadly, I wasn't able to reproduce the issue on my FreeBSD 11 VM. I also got access to the FreeBSD CURRENT buildbot, but I also failed to reproduce the bug there. I was supposed to get access to the FreeBSD 10 buildbot, but there was a DNS issue. I decided to install a FreeBSD 10 VM and one week later... I finally succeded to reproduce the issue! The bug was that the _Py_CoerceLegacyLocale() function doesn't restore the LC_CTYPE to its previous value if it attempted to coerce the LC_CTYPE locale but no locale worked. Previously, it didn't matter, since the LC_CTYPE locale was initialized again later, or it was saved/restored indirectly. But with my latest changes, the LC_CTYPE was left unchanged. restore the LC_CTYPE locale to the its previous value. Finally, I succeded to do what I wanted to do initially, remove the code which saved/restored the LC_ALL locale: pymain_read_conf() is now really responsible to set the LC_CTYPE locale, and it doesn't modify the LC_ALL locale anymore. Python has many options to configure the locales and encodings. The combination of C locale coercion and UTF-8 mode is non-obvious and should be carefully tested! The LC_CTYPE encoding (locale encoding) can be queried using nl_langinfo(CODESET). On FreeBSD, Solaris, HP-UX and maybe other platforms, nl_langinfo(CODESET) announces an encoding which is different than the codec used by mbstowcs() and wcstombs() functions, and so Python forces the usage of the ASCII encoding. The test matrix of all these configurations and all platforms is quite big. Honestly, I would not bet that Python 3.8 will behave properly in all possible cases. At least, I tried to fix all issues that I spotted! Moreover, I added many tests which should help to detect bugs and prevent regressions.